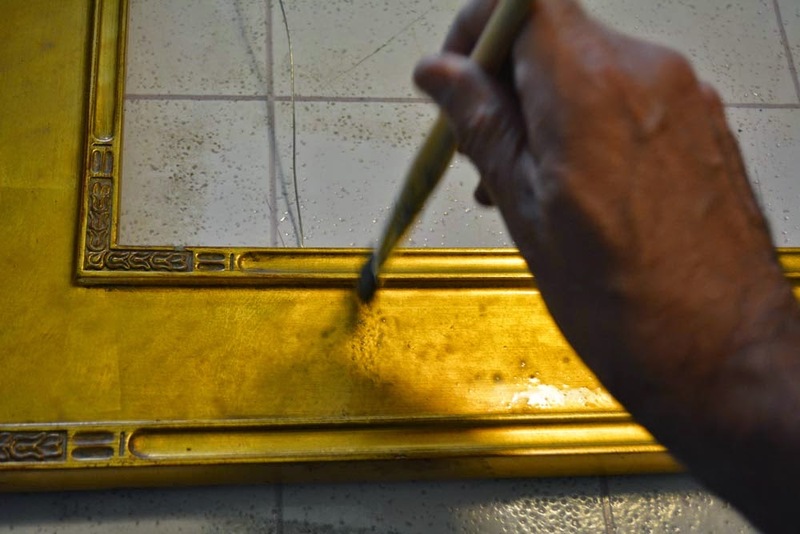 I buy metal and gold leaf frames for most of my paintings. 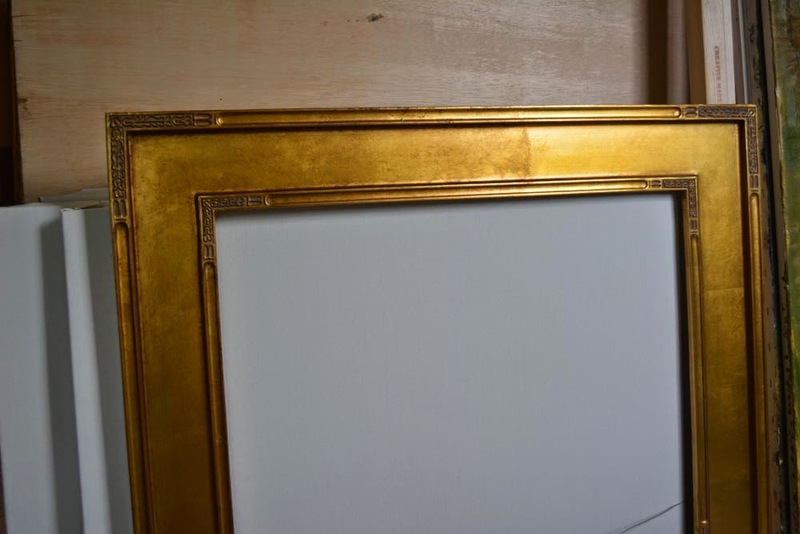 I like how the metallic gold finish complements the paintings but sometimes the frames are not the right color or too brassy and bright and detract from the image. When this happens I tone them. Many times the frames I buy change from order to order even though they are supposed to be the same frame style. 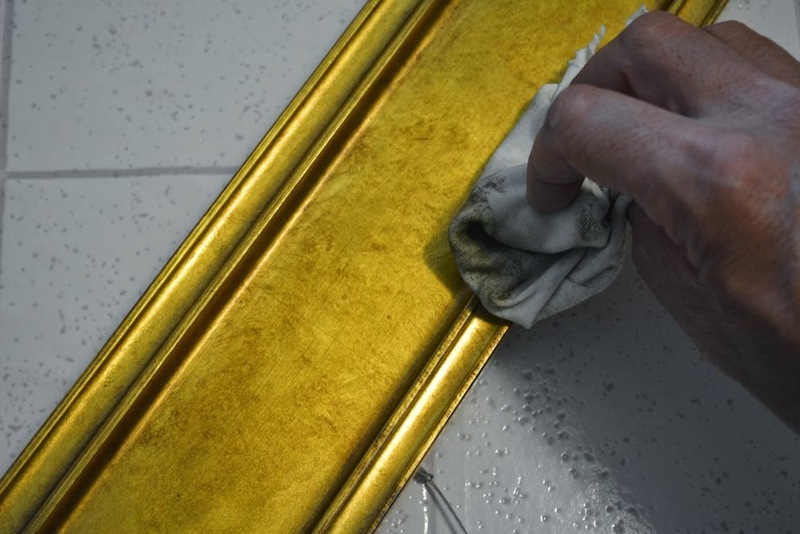 Toning your frames helps to keep them the tone you want. The best way to start is use some old damaged frames and practice until you get the results you are looking for. There are many ways to do this, this is my process. 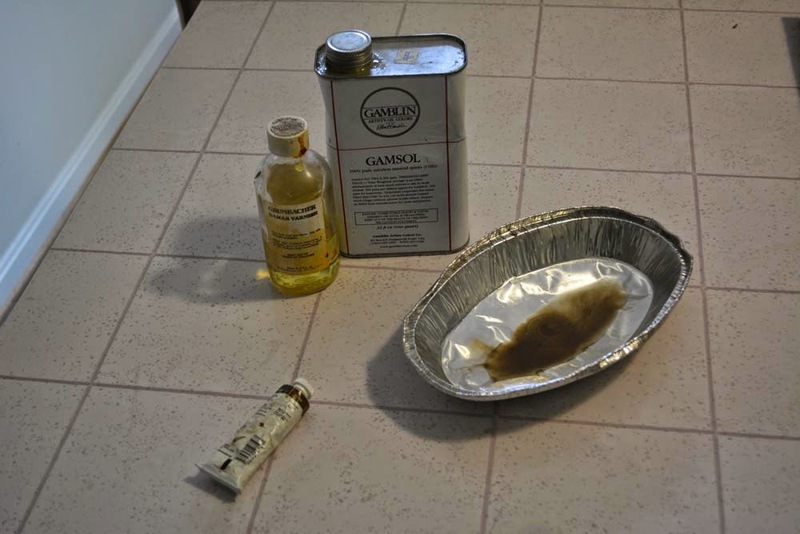 I mix up a bunch of varnish cut in half with mineral spirits. I mix in a small amount of the pigment I want. Usually a mixture of raw umber as a base with touches of yellow ochre or viridian added depending on what tone I want the color to be. I then ponce the mixture into the frame with a big brush so I get a nice pattern to the application and it gets into all the cuts of the carving. I let this set and then wipe the excess of with an old rag t shirt. Once it is fully dry I polish it with renaissance wax. Armand, what's "renaissance wax"? Is that the brand name, and where do you get it? Eric Yes its a brand of wax for restoration of antiques. I buy it from Amazon. How long or to what degree of dryness do you let it set? What are the properties of the Renaissance wax that make it special? Will Dorland's wax work as well? I like your results much more than the method I have been using. Thanks for sharing. I let the mix set so when I go over it with a rag it doesn't pick up the texture. I don't know about the properties of different waxes, I used what the guilder who told me their process uses. It takes a while to get the results you want. That's why I recommend using old beat up frames to practice on.